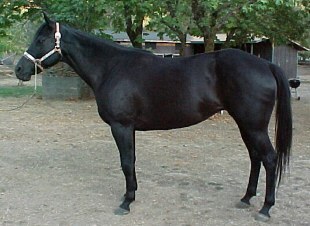 This filly is out of the above mare, Skip Jackie Oh and Hez Cool N Classy, a solid black AQHA/NFQHA stallion. 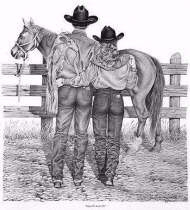 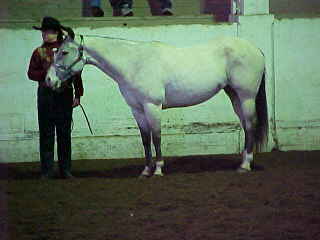 "Mariah" is a 1992 Reg AQHA / Foundation solid black mare whose lines include Skipa Star (SkipperW), Pat's Dusty Star, Amigo Echols (Ed Echols) & Top Moon. 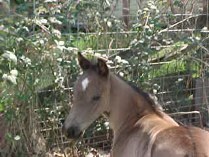 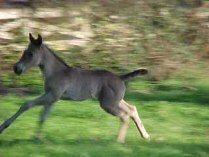 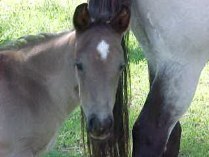 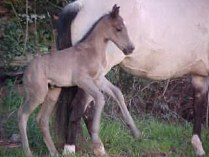 She has beautiful headed, straight boned foals, as well as great temperments.